We have again many highly skilled new employees in our teams. Hanne Juuti, M.Sc. (Pharm. ), and Maija Raatikainen, M.Sc. (Pharm. ), currently studying for her Health Economics degree, strengthen the expertise in our Regulatory and Market Access teams. Hanne joined DRA from Pharmaceutical Information Centre where she gained an extensive experience on Nordic pharmaceutical databases and development of services. Maija is an experienced colleague at DRA, since she worked already earlier in some of our projects. Viivi Friman, M.Sc. (Health Economics), and Vilma Westersund, currently studying for her M.Sc. (Pharm.) degree, are new members in our Market Access team. Viivi focuses on price and reimbursement applications as well as health-economic models, while Vilma works with price and reimbursement applications and reference prices. Kirsi Nousiainen, B.Sc. (Pharm. ), and Jenna Saarimäki, Master of Pharmaceutical Sciences (University of Copenhagen), joined the company to coordinate marketing authorisation applications. Our new Quality Officer is Iina Hartikainen, B.Sc. (Pharm. ), and Ella Sandholm started as an office assistant. We warmly welcome our new talents! 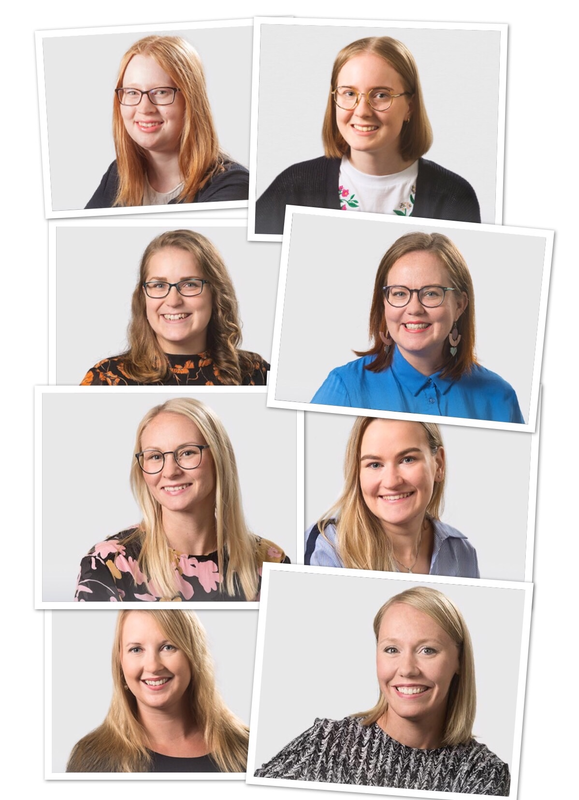 Welcome, Suvi, Riina, Niko and Roosa! Our big team has grown even bigger! Welcome three new colleagues, Heidi, Heli and Tuomas! Request an offer or leave a message.